In this edition of the SA parkrun newsletter; Sunrise-on-Sea together with CANCA promotes men’s health month by offering free prostrate and testicular cancer tests for all male runners. St. Francis parkrun is officially launched. 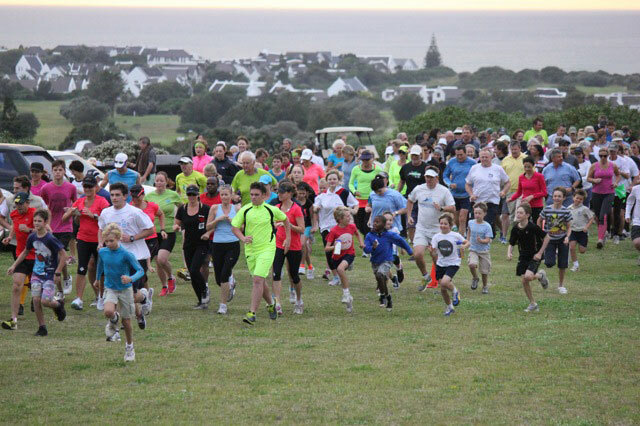 Big Bay parkrun continues to attract numbers - could this be the most picturesque parkrun setting? It has been a lot of fun this week to study the parkrun registrations wiki site. South African registrations have placed our parkruns very prominently at the top of the World list with Woodlands, Delta, Modderfontein, and St. Francis parkruns - all taking turns to hold the “gold medal” position. In addition we have constantly held the 5 positions all week. South African parkrun registrations are climbing by over 100 a day now bringing us to over 17000 registered parkrunners. Of course parkrun is not a competition and the parkrun experience is much more important than competing for numbers but it is still very gratifying to see the enthusiasm growing. Without a doubt this growth spurt has much to do with our new partnership with Discovery Vitality and we look forward to a mutually beneficial partnership. 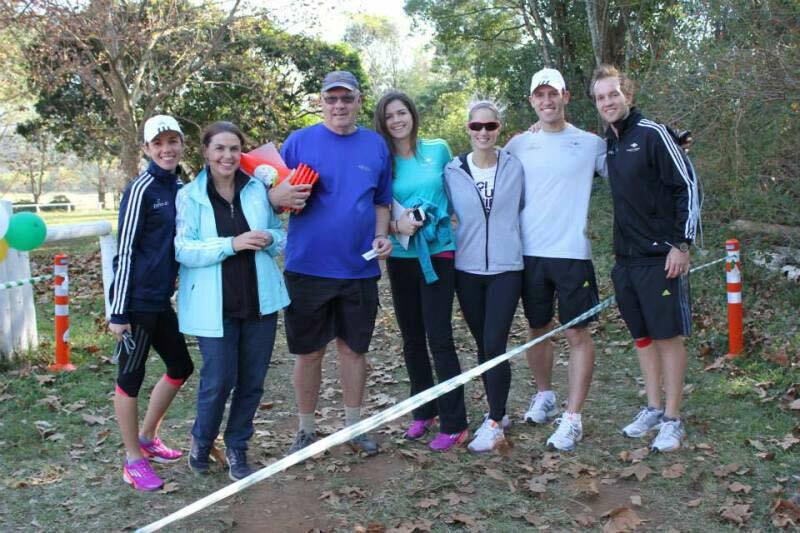 Last Saturday we launched a parkrun at St. Francis. It was a stunning morning with 226 parkrunners tackling the St. Francis links course. It was very humbling to experience the enthusiasm and spirit of the St. Francis community. Congratulations to Esti and Eric Stewart and their volunteer team for a brilliant job well done! 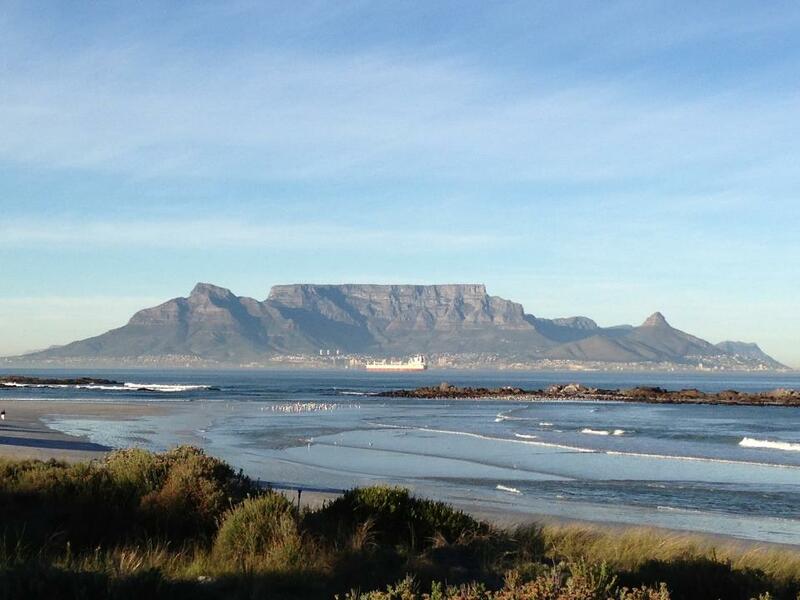 We follow this launch with Greenpoint in Cape Town this week. Further exciting news is that at last we have interested parties looking at potential parkrun sites in Pretoria. 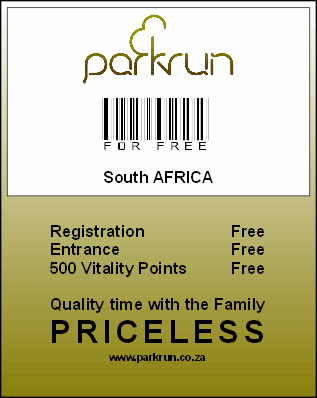 Please remember to bring your barcode with you for your results when you run or walk a parkrun. Chris Midlane the event director of Modderfontein reserve parkrun has created a humorous barcode that sums up the parkrun experience so well. All is well at Sunrise-on-Sea parkun, numbers are averaging well above our initial expectations for the event. Nahoon Point, Kidds Beach and Sunrise-on-Sea are located in an area with a radius of +/- 35 km. Considering our small population, compared to other major centres we enjoy great support from our locals. The camaraderie and spirit are healthy. Our locals arrive every Saturday, come rain or shine, it is as if they do not want to let each other down. The “gees” of parkrun is reflected in the following Facebook post from one of our participants that I wish to share with you. "Suppose I can put up the parkrun results. :). 35.37 mins. New PB! Thanks again to all those who support me in this almost inhuman effort to start running after a lifetime of couching. I honestly hope my "progress reports" will encourage someone out there to join parkrun. Apart from being a great way to get fit (or stay fit) it's a super social event! We start to know each other and it becomes like a whole big family. You may think you ain't a runner but if you can walk un-aided you can do it! There are lots of walkers... And a lot of runners (like me) still walk bits of it. We also always need volunteers! Start by volunteering... It will help you gather the guts to participate. Also a great way to meet people!" Two weeks ago we had CANSA doing prostrate and testicular cancer tests for our male runners in conjunction with men’s health month. Many of our male participants were surprised to only be subjected to a finger prick test and not the old traditional method. Nevertheless they had their status within a few minutes. Thank you to Michelle and Glynnis from CANSA. Well done to Alex McQuirk, Stella Swart and Abigail van Vugt who achieved their Club-10 parkrun status over the past few weeks. To those who experienced a realisation of your goals however big or small, well done, keep going. Our volunteers and friends of Sunrise-on-Sea parkrun enjoyed a lovely braai at Murambi Country Kitchen on Wednesday, 10 June. Lots of ideas were shared and it was an ideal opportunity to interact with each other in a less formal manner. Thanks all, your support is appreciated! Watch the press for details about the Jumbo Beach2Beach Half Marathon launch that took place at Nahoon Point parkrun last week. By the time this newsletter is published there will be a new addition to the Eastern Cape family namely Cape St. Francis parkrun. Welcome aboard! Indeed, exciting times. The Big Bay parkrun has been going for 11 weeks now. The setting is ideal with the sun rising over the Atlantic Ocean; the beautiful west coast beaches and the majestic Table Mountain in the background. In spite of some chilly winter mornings and even some rain, we are seeing more and more eager runners and walkers coming out each week as word is spreading around the community. 79 year-old Don Oliver is a regular volunteer. 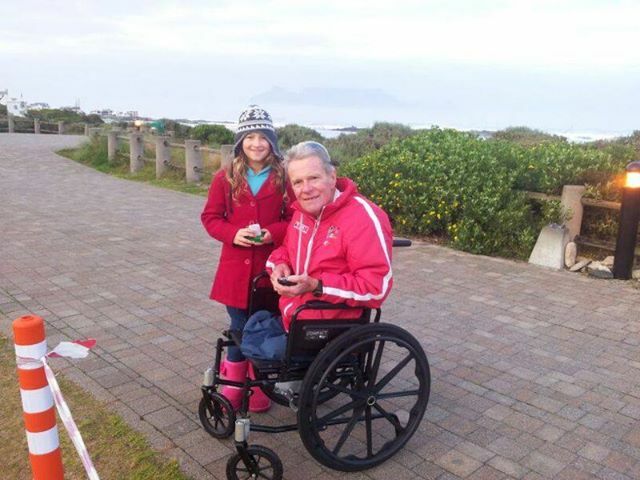 He is a comrades veteran (19 medals); a renown comrades coach; author and a double amputee who has been selected to represent the Achilles South African team in the New York Marathon this year in the hand-cycle event. Don said he loves two things about the parkrun. Firstly, he loves the fact that children of all ages are encouraged to participate in what he called a “grown-up gathering,” where they are expected to obey the rules; hand in their own tokens and receive their results, without the pressure from coaches and teachers that accompanies so much of our school sports these days. The second aspect of the parkrun that he thoroughly enjoys is the social side and camaraderie of people with the same interest before, during and after the event, including the weekly gathering afterwards at one of the many coffee shops that overlook the finish. We wish Don the very best for the New York Marathon next month. A special thank you must go to our very enthusiastic weekly volunteers. You guys are amazing! Thanks to all our runners and walkers for supporting the parkrun. We look forward to seeing more and more people, both young and old, fast and slow being bitten by the parkrun bug! What do you do at parkruns: When volunteering, distribute position bar-code tags. Most memorable or funniest parkrun moment: Was running on my first lap around the park, when I heard, what at first, I thought was Alan Rob about to overtake me on his second lap, at the gallop. Then I was absolutely amazed when two buck burst out of the foliage about ten metres ahead of me, galloping across the path. To see nature close up, right is the heart of urban Jo’burg, and to feel almost involved with these graceful gazelle as the romped in the park, hit home as to how privileged we all are to be running in the wide open spaces that is parkrun. In this edition of the SA parkrun newsletter, we find out more about the latest parkrun addition - Kidd’s Beach parkrun. Another exciting course, Shongweni parkrun, challenges participants while Woodlands parkrun offers a glimpse of baby Springbok in the heart of the city. 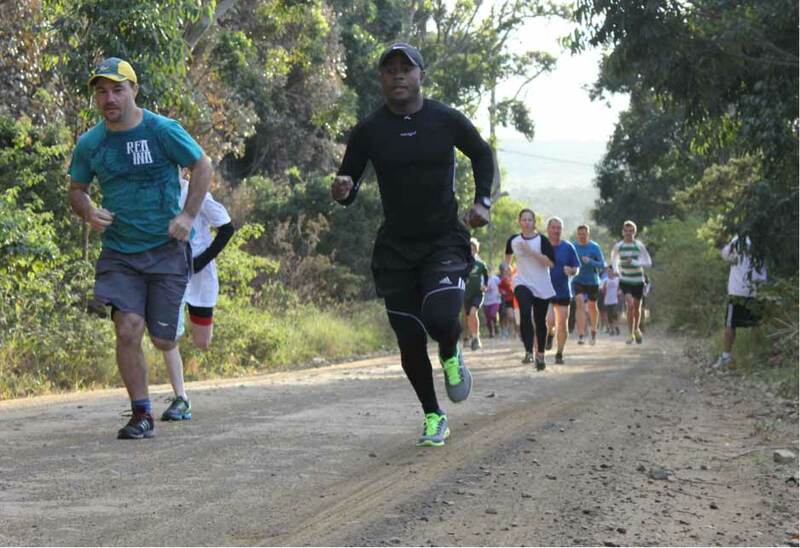 Ebotse parkrun celebrates in style as it continues to grow and turns one. 115 enthusiastic parkrunners ran the challenging inaugural Kidd’s Beach parkrun last Saturday. Welcome to Yvonne McKenzie, our latest event director! The Border region is acquiring a reputation for its tough courses and Kidd’s Beach, with its rolling hills, is no exception but, like the other Border parkruns, it is also a fun parkrun with stunning views of the ocean and surrounding countryside. After the event, many Kidd’s Beach parkrunners headed off to “The Barn” for egg and bacon rolls along with coffee. As always there were plenty of smiling faces and when one participant was asked to suggest one word to describe parkrunners he simply said “happy”. 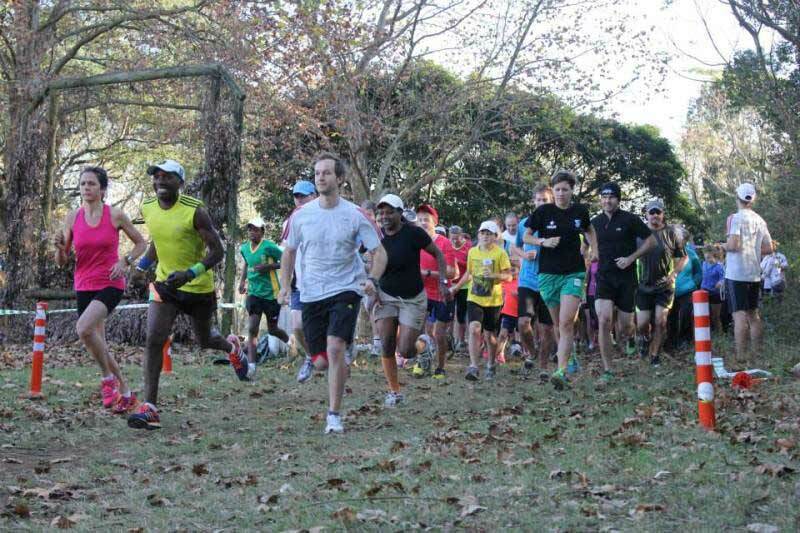 Another major milestone was passed this week when parkrun South Africa’s numbers topped 15 000 for the first time! This makes the parkrun community the biggest running “club” in South Africa. If numbers continue to grow as they have been doing it shouldn’t be too long before we reach 20 000 parkrunners. As our numbers grow so do our runners’ parkrun totals. This week we welcomed our 7th and 8th red 50 club tee members. It’s supposed to be impolite to reveal a lady’s age but I am sure Thelma Fouché has no problem with our mentioning that she has just completed her 50th parkrun at the age of 79. 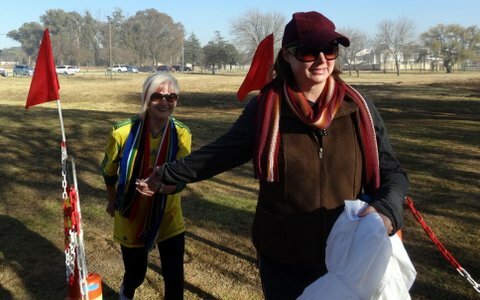 She has run all 50 of her parkruns at Roodepoort parkrun. On the same weekend Gary Jackson became our first “senior volunteer” to earn his 50-club status. 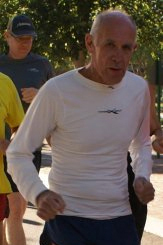 Gary’s home parkrunrun is Ebotse. Congratulations to both new Club-50 achievements! Ebotse parkrun celebrate their first birthday and what a celebration it was - a perfect day, a great crowd, tasty treats and gifts galore! At the event, adidas gave away two pairs of their fabulous running shoes, Piermont sponsored a slew of meal and accommodation prizes and parkrunners were treated to masses of cakes, fudge, and even champagne! We would like to mention a few interesting statistics regarding the ninety-seven participants who attended our first birthday event. There were fourteen first-timers and eight PB’s. Sixteen runners are members of Boksburg Athletic Club, 5 Benoni Harriers, 3 Nedbank RC, 2 Benoni Northerns, 1 Correctional Services, 1 Run/Walk for Life Club, 1 Avis AC, 1 Fit 2000 AC, and 1 Athletes for CHRIST, with the remainder being unattached parkrunners. 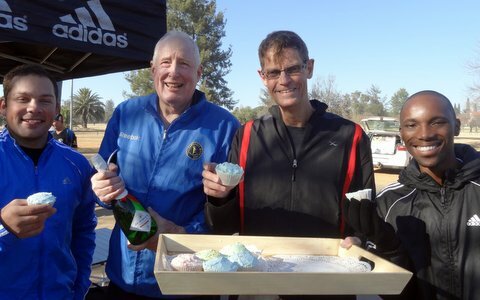 We looked back on a year filled with stimulating runs, made possible with the help of Gary Jackson and Darryl Goosen who volunteer every Saturday. A huge thank you to both of you! Thank you also to all the other volunteers who gave of their time so freely during the course of the year. Iain Morshead's for his directorial input, is very much appreciated. 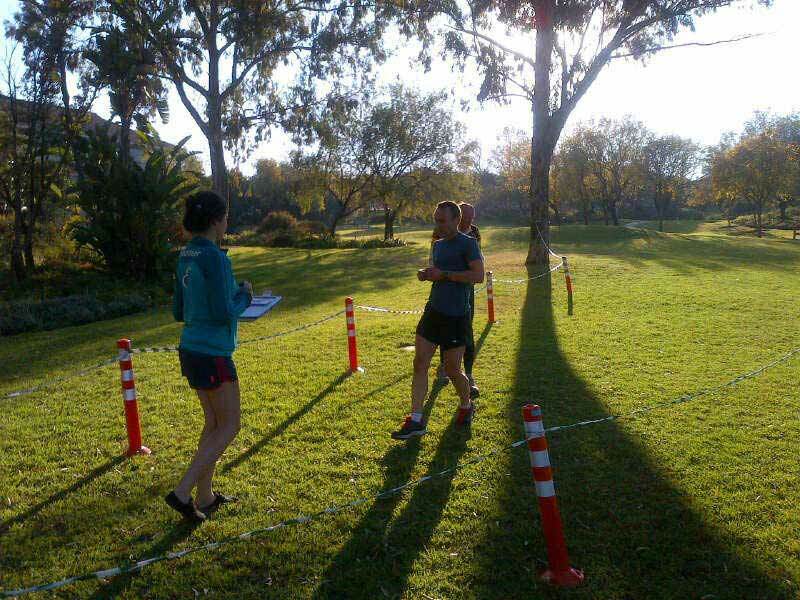 A special word of thanks to the Ebotse Estate for allowing us to make use of their beautiful grounds, it is ideally suited to hosting a parkrun event! Finally, well done to all Ebotse parkrunners - without you this event would not take place. We look forward to another year of highly enjoyable parkrun events. 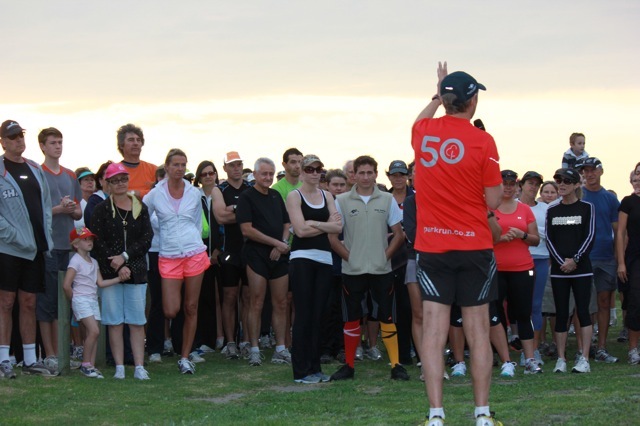 Woodlands parkrun has had over 200 different runners and run a combined distance of over 2000kms in only 12 events. This had included Comrades winners; Bruce Fordyce and Alan Robb, as well as many international parkrun visitors. We are also very pleased to welcome parkrun visitors from around South Africa. This week sees us announce a partnership with Go’Spresso coffee shop. Go’Spresso will be sponsoring water for all our finishers and when returning the empty water bottle to the store in Woodmead, the parkrunners will receive a free travel coffee mug. Go’Spresso is our breakfast stop of choice after our parkrun event and we hope that this partnership will encourage more runners to make a social morning out of their parkrun. We continue to watch the growth of the baby Springbok. Usually they are well out of the way of the top 10 runners who go cruising around the course and only the back markers get to see and appreciate the wildlife. 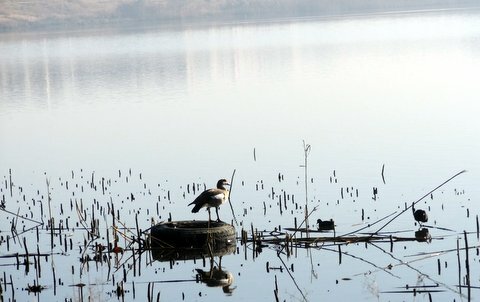 We are all still amazed that we have this park facility available to us in the middle of Sandton. The much anticipated opening of the 3rd KZN parkrun was a huge success, and we could not have asked for a more beautiful, sunny winter’s morning! There was a huge turn out as we recorded 116 runners, including a very special guest and winner of the 1979 Comrades Marathon, Piet Vorster. Located on the peaceful grounds and horse paddocks of the Durban Shongweni Club (known to many as the Polo Pony), Shongweni parkrun starts with a gentle, flat run around the rugby field before getting onto the dirt trails. A short run down the avenue of trees before you enter the long, flowing single track. It’s a run where you had better not use up all your energy in the first half as there are plenty of small climbs that need your leg strength. After winding onto part of the polo field, the route takes you back along the same single track you came in on, in the opposite direction. Then there’s one last run down the avenue of trees before making your way around the show jumping field and across the finish line. Gill Fordyce said it was up there as one if the toughest parkruns in SA. Next time you find yourself in Durban, we encourage you to make your way to Hillcrest on a Saturday morning and experience Shongweni parkrun.